The Arc’teryx Procline Carbon Support Boot is a game-changing hybrid mountain boot that offers the perfect footwear solution for alpinists who love skiing, too; a unique new cuff design allows for a 360º range of movement at the ankle, which opens up a whole new realm of never-before-possible performance for both skiing and climbing. 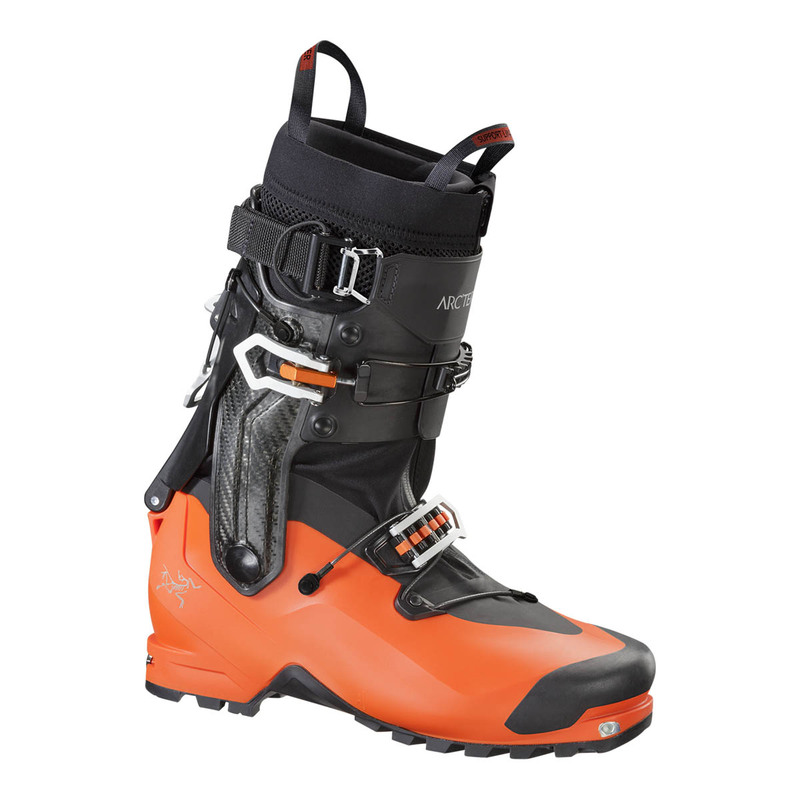 The Arc’teryx Procline Carbon Support Boot has a strong but lightweight carbon-fibre cuff for stability while climbing and improved power transfer while skiing, while the EVA Procline Support Liner is comfortable and responsive thanks to a little extra padding in the tongue and ankle. The happy medium between a mountaineering boot and a ski boot, the Procline Carbon Support is a great choice for alpinists who really want to slay their line down the mountain. 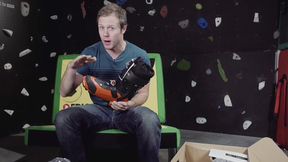 Check out Matt's, our Climbing Daily Presenter, opinions of the Arc'teryx Procline Boot and hear why he's excited to try this innovative boot out and about. If you like alpinism but you love skiing, the Arc’teryx Procline Support Liner is the one for you. 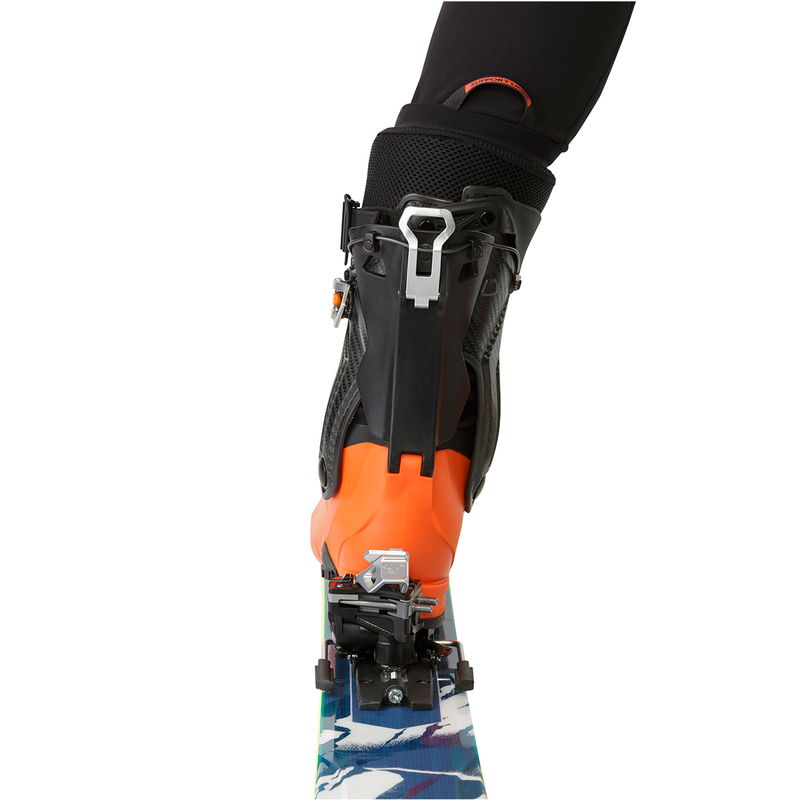 It’s lightweight at 270g but provides added support in the tongue and cuff area for that extra bit of ski performance. 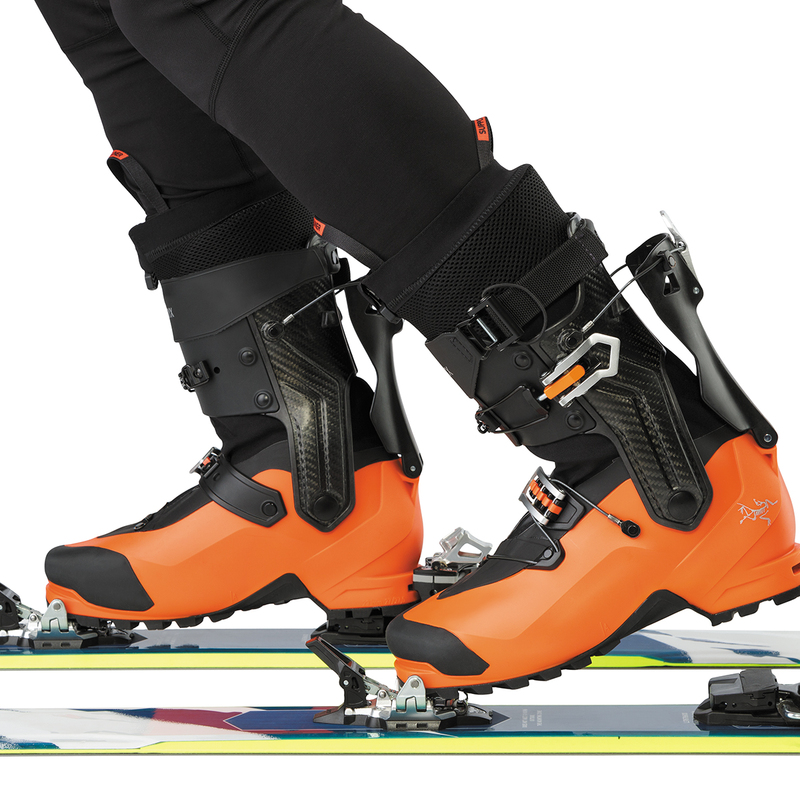 The Art’teryx Procline Carbon Boots feature a cuff made up of a mixture of Grilamid, carbon fibre and fibreglass. This is the ultimate light and strong combo, ensuring support, flexibility and minimal weight, plus top-class performance whatever the temperature. The brains behind the whole operation, the Procline Boot’s 360º rotating cuff consists of a lightweight, flexible collar featuring a unique three-piece design that allows you to move your foot from left to right, as well as forwards and backwards. 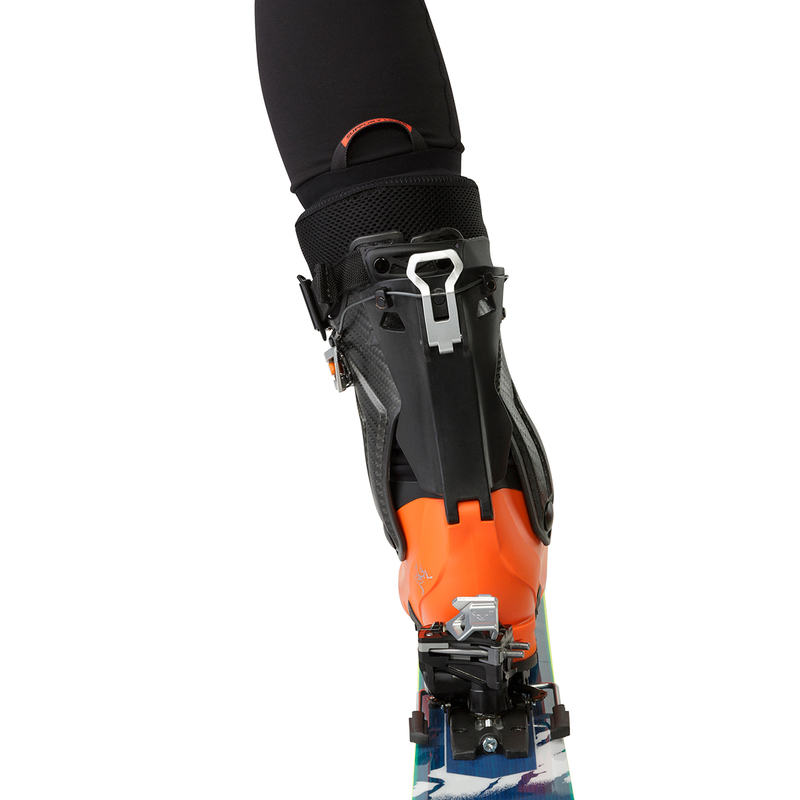 This means extra agility, flexibility and performance on the ascent, while a handy walk-mode lever snaps everything into place for a super-fun ski down. The Procline Boot features the unique Vibram Procline Sole, which is optimised for mixed climbing. The dual-compound rubber is super durable and designed to provide the best grip, edging and smearing power – it’s also reinforced at the toe and heel for extra longevity and added confidence while you climb. 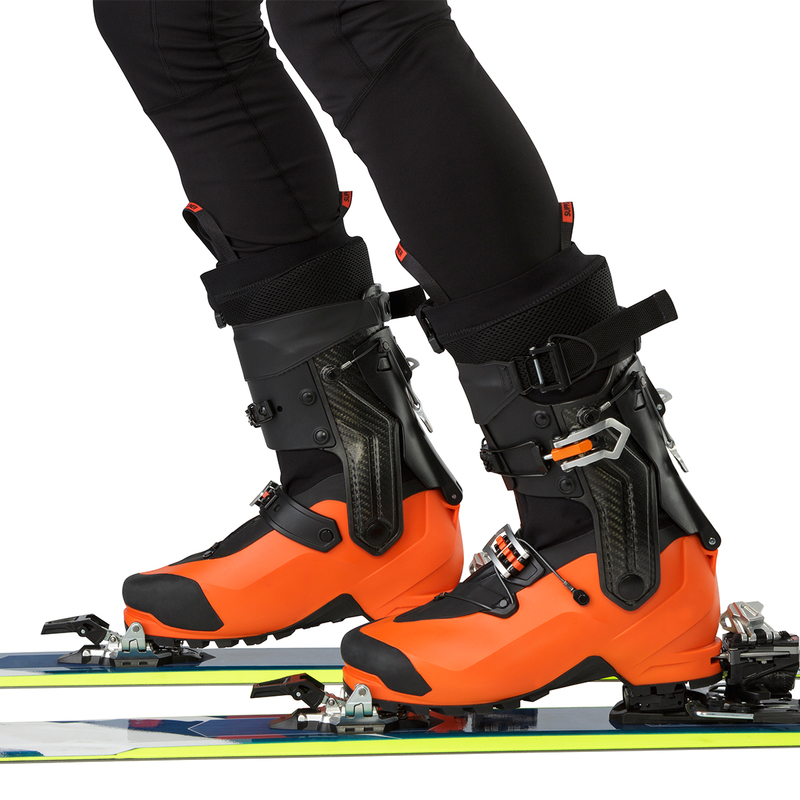 The Procline Boot is Dynafit-certified, tech-binding-compatible and can be used with pretty much all ski-specific crampons, so you can ski and climb with the lightest, most effective equipment. A integrated, durable Codura gaiter with a waterproof PVC coating ensures no snow or water makes its way into your boots. The patent-pending Cam Lock Power Strap means you can get a nice tight fit and is much easier to adjust than your standard Velcro power strap – you can even operate it with one hand. Bonus. The patent-pending Hybrid Closure system utilises a clever combination of low-profile buckles and high-strength cables to provide a secure and easily adjustable fit with no irritating pressure points.